Are you looking for a top-class shoe that will look good basically with anything? Shoes that will help you look good with your casual attire and can also be used for your sporting needs? If you are, then Jordan Brand has the answer for they are set to release a new colourway of the Jordan Phase 23 SC and it is expected to make a huge impact in the market this month. 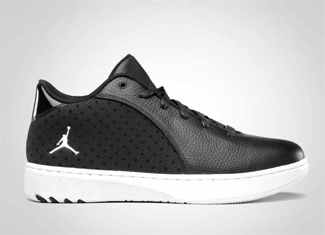 The Jordan Phase 23 SC, which boasts its impressive basketball look combined with off-court design will come out in Black/White colourway – simple in looks but very impressive. Don’t dare miss this treat from Jordan Brand this August! Another Jordan Phase 23 SC Out This June! Another Jordan Phase 23 Hoops Out This Month! Jordan Phase 23 Hoops Coming Out in Seven Colourways!